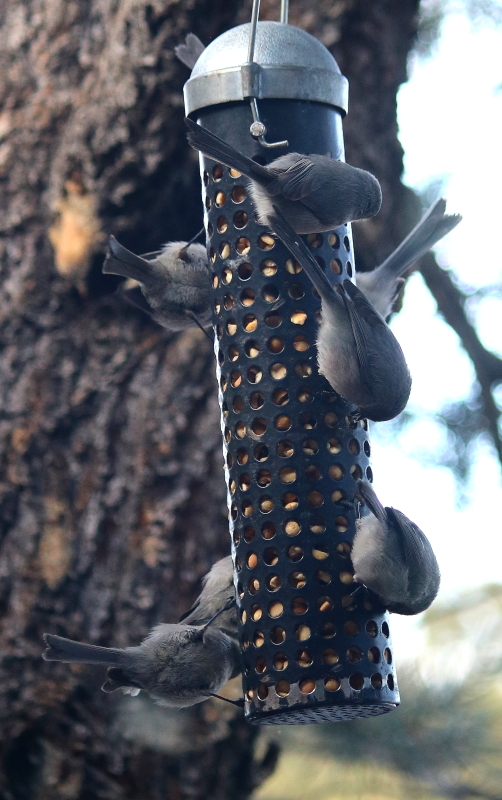 I love bushtits! They are so chattty, constantly chirping their contact calls to make sure everybody is included. I’m not familiar with this kind of bird! Hard to imagine them being that much busier than chickadees! The chickadees muscle them out of the way but the bushtits come back. They’re so perky!